Rhythm Pharmaceuticals Inc (NASDAQ: RYTM) shares are up 7 percent after falling 15.6 percent in the regular session. Verastem Inc (NASDAQ: VSTM) shares are up 6 percent after announcing the signing of an exclusive license agreement for the development and commercialization of COPIKTRA in China. The company will receive an upfront payment of $15 million and will be eligible for up to $30 million in milestones. Digital Ally, Inc. (NASDAQ: DGLY) shares are down 7 percent after announcing a common stock offering. The size was not disclosed. GasLog Partners LP Unit (NYSE: GLOP) shares are down 6 percent. No news was immediately available. Cintas Corporation (NASDAQ: CTAS) shares are down 6 percent despite reporting a first-quarter earnings beat. 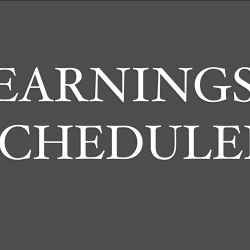 Adjusted earnings came in at $1.93, beating estimates by 13 cents. Sales came in at $1.7 billion, beating estimates by $20 million. The company raised FY19 guidance. Nike Inc (NYSE: NKE) shares are down 3 percent despite reporting a first-quarter earnings beat. Earnings came in at 67 cents per share, beating estimates by 5 cents. Sales came in at $9.948 billion, beating estimates by $18 million The company said gross margins increased from 43.7 percent to 44.2 percent in the same quarter of last year. Inventories were $5.2 billion, unchanged from last year.